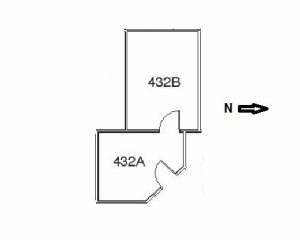 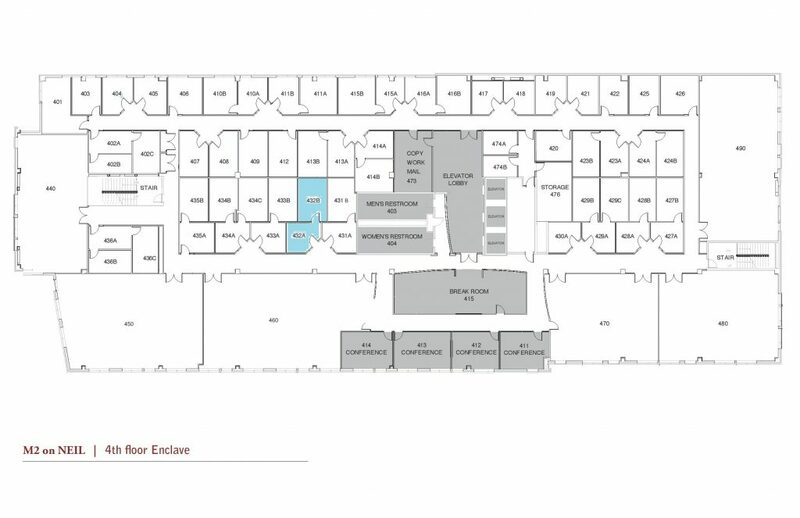 A double office suite located in The Enclave at M2. 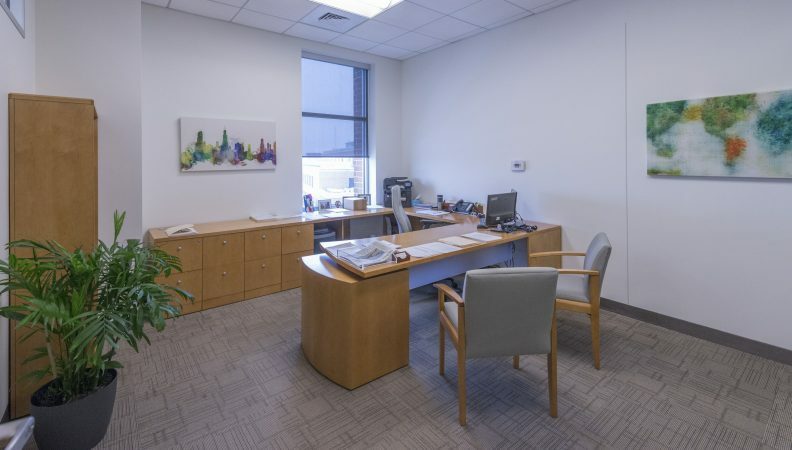 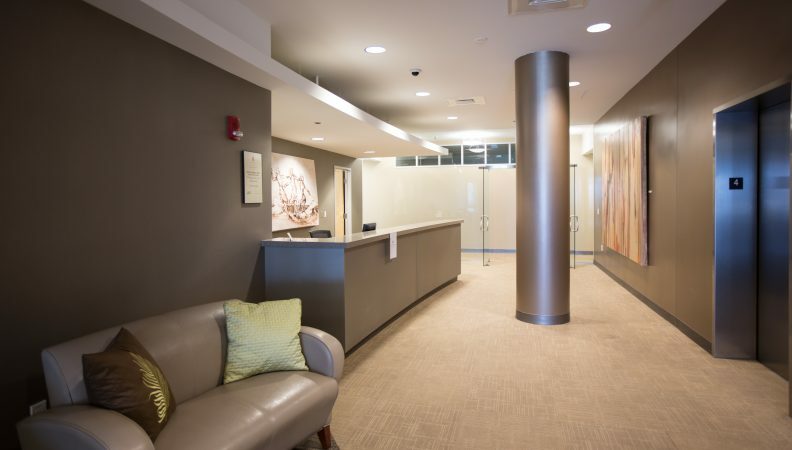 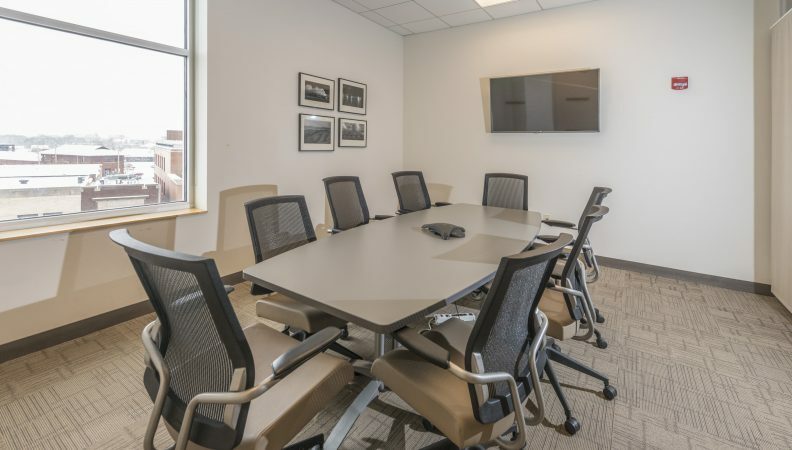 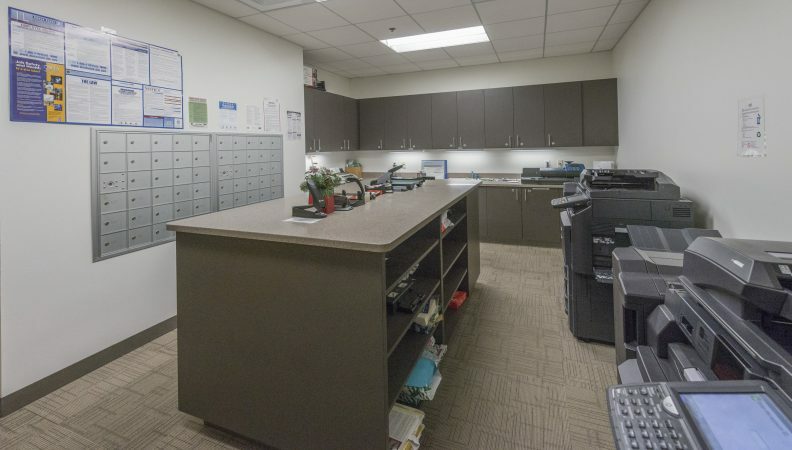 This professional office environment includes amenities such as reception, shared conference rooms, kitchenette with refreshments, mail service, business center and wifi. 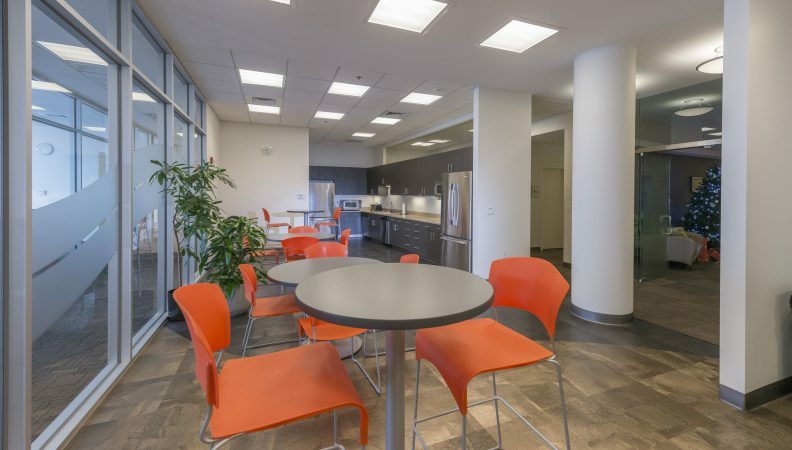 The Enclave is perfect for a small business or start up looking for a downtown address at an affordable price.